This baby girl was absolutely precious. 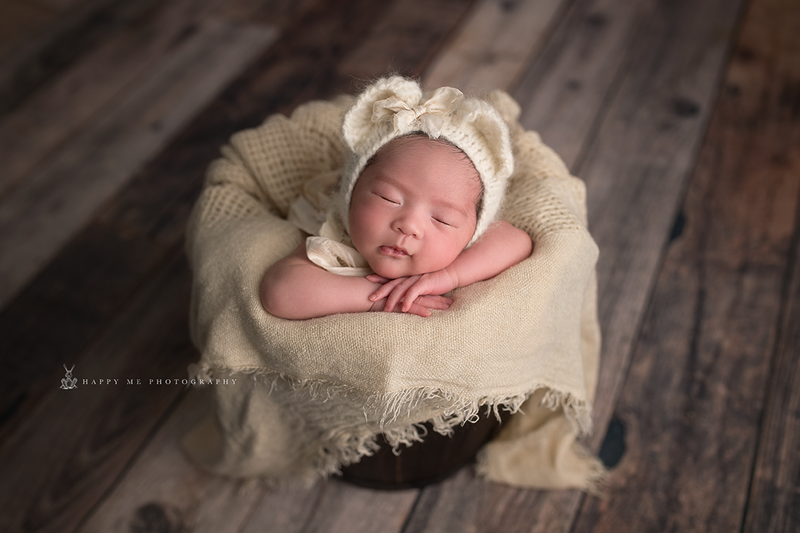 She was so sweet, and slept so soundly throughout her entire session. 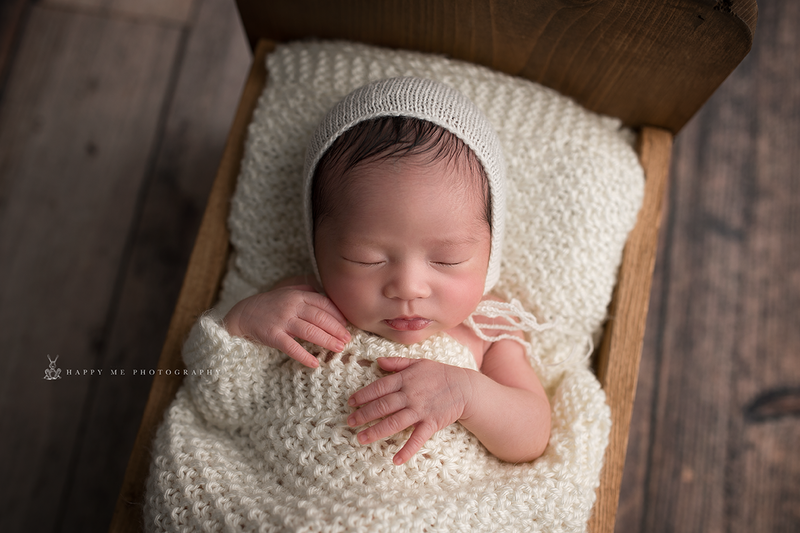 Her Mom, Imee, found me on Google, contacted me to set up her daughter’s Newborn Session, and I am so thrilled that they found me. 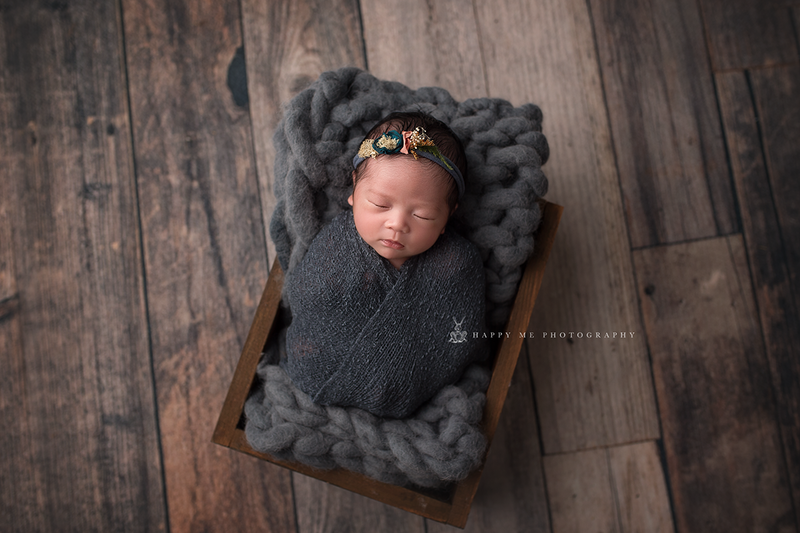 As a Newborn Photographer San Carlos, I really enjoyed the opportunity to capture these early moments for them. I just love the way these photos turned out. 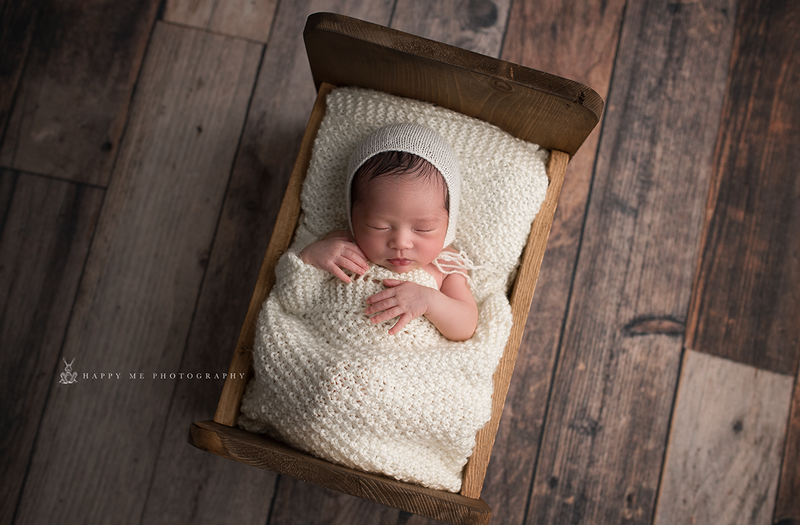 This sweet girl was only eight days old at the time of her session. Since she was sleeping so soundly, we were able to do a pose that I really love to use, but do not get to do that often. The reason being that the babies have to be fully asleep. This is the “froggy” pose. I think it is absolutely adorable! 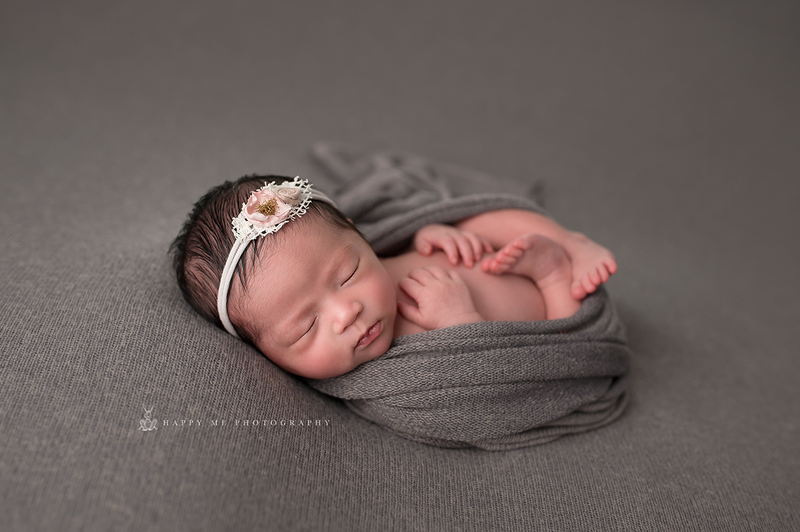 It is a great pose, and a different way to show off all of babies features close together. You can focus in on her precious little hands, feet, and face all at the same time. She has the sweetest little face. Those chubby cheeks and tiny pouty lips are the cutest, and just look at all that dark hair. She was such a little snuggle bug too. 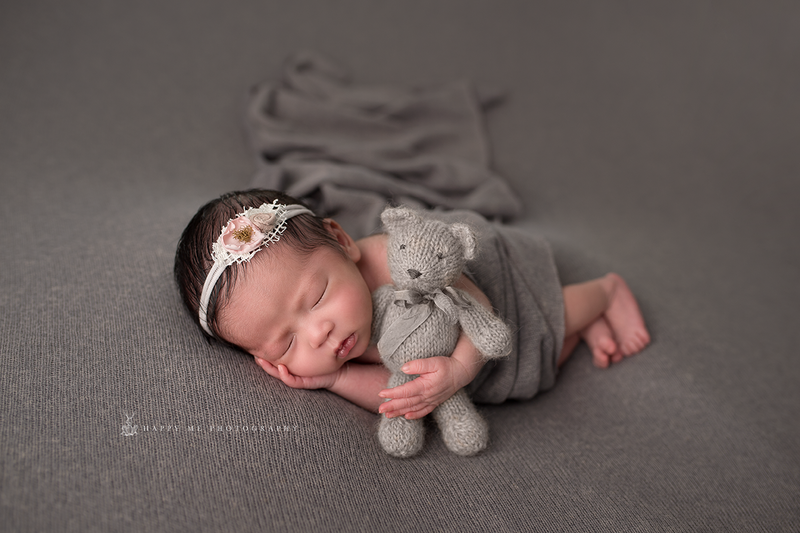 I cozied her up with a little teddy bear and she took right to him, resting her head sweetly on one hand and tucked up to teddy with the other. 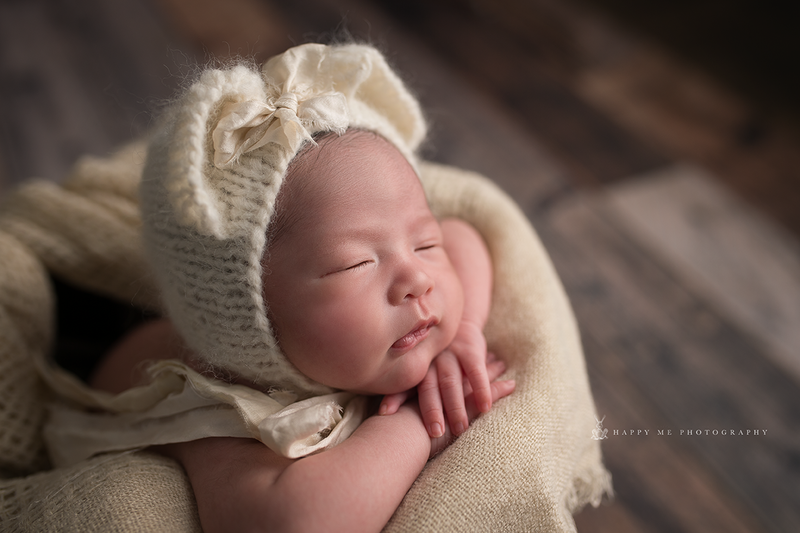 The photos of her in the bonnet with the ears and bow squeeze at my heart! Looking at this little angel, I envy that deep newborn baby sleep. It is so peaceful and sound. It always makes me wonder what they are dreaming about.